Back to the Future is amongst the most famous of car movies, despite not really being a car movie. Thanks to Doc Brown and Marty McFly's trilogy of cinematic adventures, the DeLorean has rightfully become a cult icon; despite – and whisper this quietly – not being all that great a car. Truth be told, those pining after a DeLorean are looking at the wrong Back to the Future hero car – why drive something that's only any good at 88mph when there's (young) Doc Brown's Packard Custom 8 Victoria Convertible instead? Said car from the franchise is now gracing Gooding & Company's Scottsdale auction on January 18/19. Present-day Doc Brown's DeLorean gets all the attention when nostalgic culture comes knocking , which is understandable considering it can travel through time. But buying the real thing is a little more disappointing. Questionable build quality and a stock version of the somewhat gutless PRV V6 engine from Renault meant the real-life DeLorean could talk the talk but not walk the walk, so to speak. 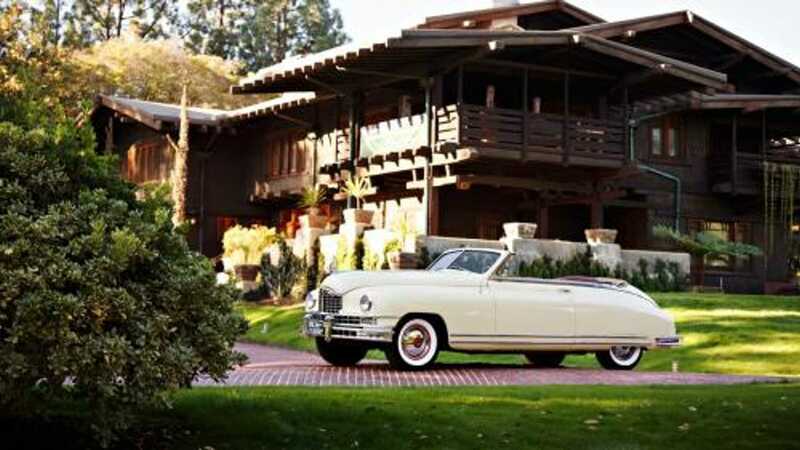 If a movie car from one of the 1980s cult flicks is in your sights, forget the DeLorean and look to young Doc Brown's ride of choice; this 1949 Packard Custom 8 Victoria Convertible. 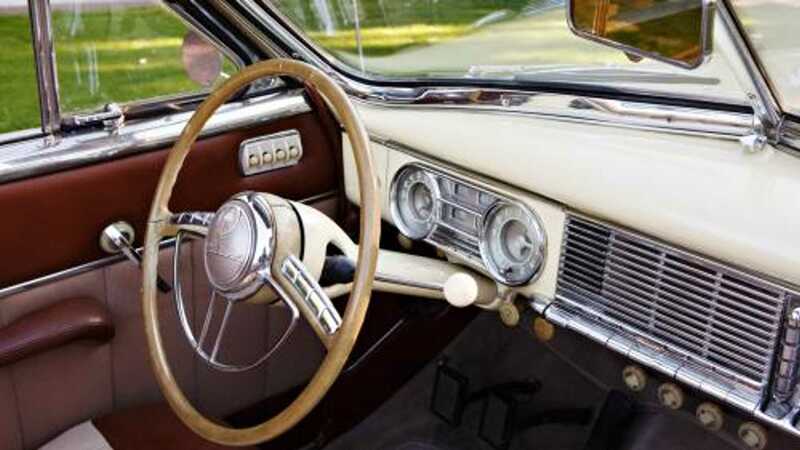 Appearing in a pivotal role towards the climax of the opening film set in 1955, only six years after the Packard's production, it's a car poles apart from its fictional owner's more famous machine. Exuding style and class, it's almost at odds with the later Doc Brown's dishevelled and eccentric appearance. 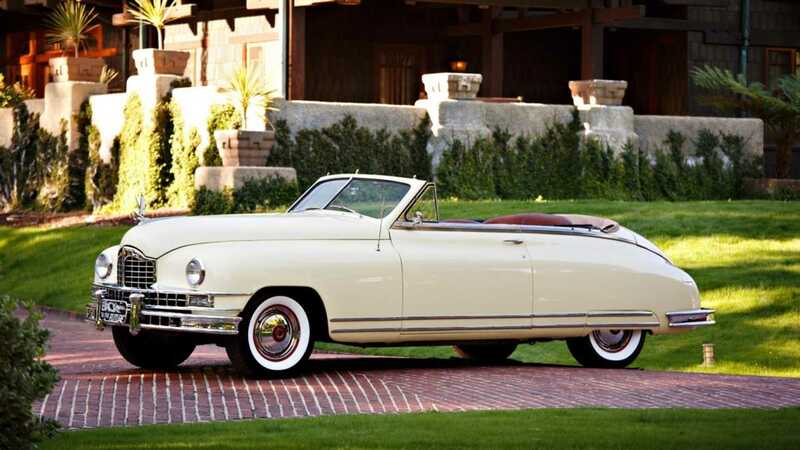 It was rather a symbol of prosperity in its time, the Custom 8 Victoria convertible being Packard's top-of-the-line model in the late 1940s. An inline-eight engine out front is good enough for 160bhp – great for its era, albeit a bit short of flux capacitor levels. What matters most for collectors though is that it's the bonafide movie car from the full trilogy, with its provenance authenticated with documents from Universal Studios. It's also clearly been well taken care of since its star Hollywood turn, being in single family ownership for over four decades. Thanks to a five year refurbishment between 2001 and 2006 it still looks like it's come straight from the silver screen, with touch-ups to the convertible's canvas top, paintwork, chrome detailing, interior and wiring all taking place in that time. However, you might need flux capacitor money to grab this Packard at auction. Even though it's being sold with no reserve, it's expected to hammer for anything between $80,000 - $100,000 (£62,500 – £78,000) during next week's Gooding & Co Scottsdale sale. Get a closer look here.